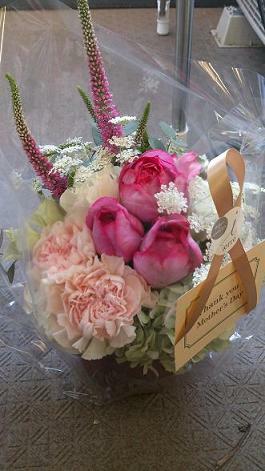 “It is Mother’s Day” today. they gave to their Mothers a bouquet during a banquet and was considered to be it. I also presented a flower to my mother. In having been slightly embarrassed face-to-face, “mother, always thank you”. I thank to you. I attached a message to the card. I came to think that I wanted to value such a Day. A memorial day is the day when we can reconfirm an important thing. ight be nice to express owns gratitude with words.